Description : It is a liana growing to 60 ft tall, with stems up to 1,5 in diameter, climbing by means of aerial roots which hook over tree branches. The leaves are evergreen, alternate, heart-shaped, marbled with creamy white or gold, entire on juvenile plants, but irregularly pinnate on mature plants, up to 3 ft long and 18 in broad. 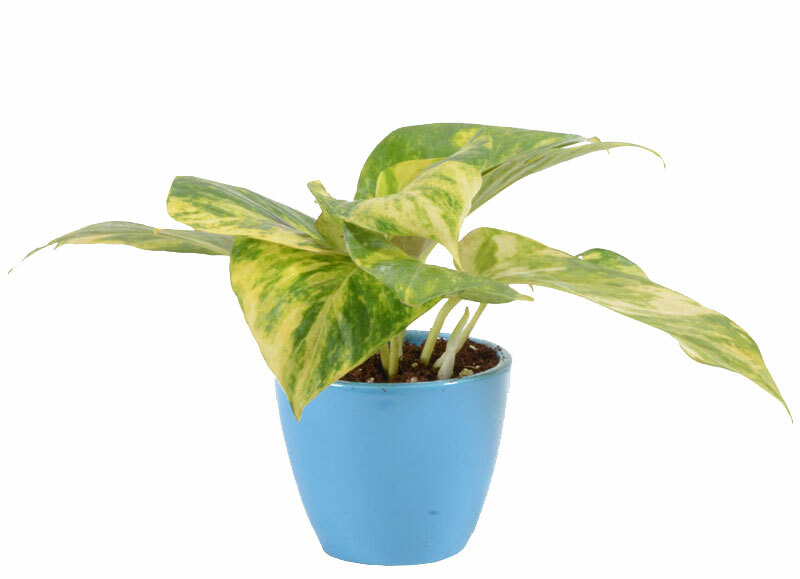 It is a popular very hardy houseplant with numerous cultivars selected for leaves with white, yellow, or light green variegation.Plant is said to bring good luck and prosperity in the house.